Here are even more books to celebrate Easter! We love to dye Easter eggs at our house. Usually, we end up with a huge mess, colorful fingers, and lots of smiles and laughter. Each year, my kids try to outdo each other with who can dye the most creative egg. It’s one of our fun traditions as we vote on our favorite patterns and designs. If you love to dye eggs as much as we do, then here is the book list for you. 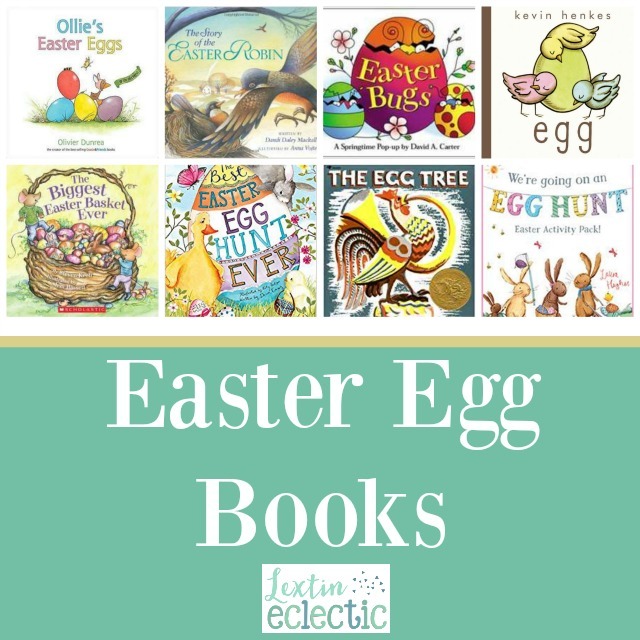 It’s all about Easter eggs with this fun book list! Enjoy these other book lists, as well as these posts to help you enjoy your homeschool journey!